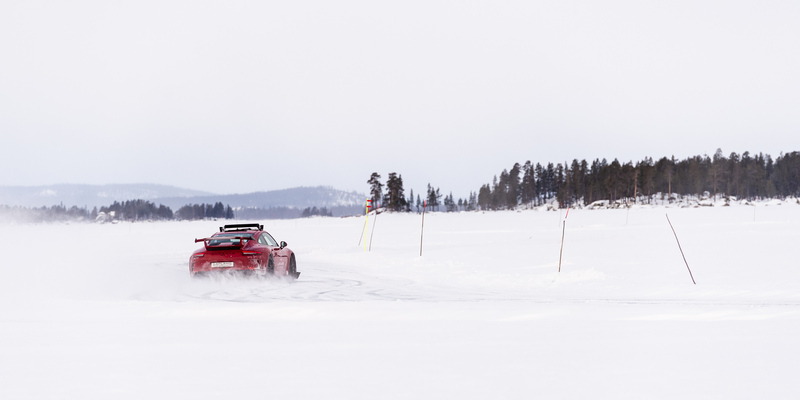 On lake Uddjaur in Arjeplog, is where you’ll find one of the coolest driving schools in the world: Lapland Ice Driving. How it came to be is a cold and actually quite a long story. Eric Gallardo drives fast. The chicane on what’s a perfect copy of the formula-1 track Paul Ricard on the metre-thick ice of Lake Uddjaur comes up very quickly. Unlike Eric Gallardo’s own knuckles on the steering wheel of the Subaru WRX STI we’re in, my knuckles – gripping the door handle on the passenger side – are completely white. The entrance to the chicane is no problem. We go from 130 km/h down to 100 km/h and then, once he’s sorted out the speed, the gearbox and the four-wheel-drive oversteer, the speed increases again. At the end of the chicane we reach 120, and at the end of the straight, we hit 190 km/h before the next chicane. My hand is cramping around the door handle. I can imagine my face taking on the same pale colour as my knuckles, and Eric Gallardo keeps talking. I don’t know what’s wrong with this guy? I’ve got motor sickness. He’s got a motor mouth. This is speed. Eric Gallardo behind the wheel. 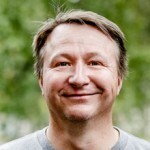 Eric came to Arjeplog thirty years ago, working his first season as a test driver above the Arctic Circle here in 1989. 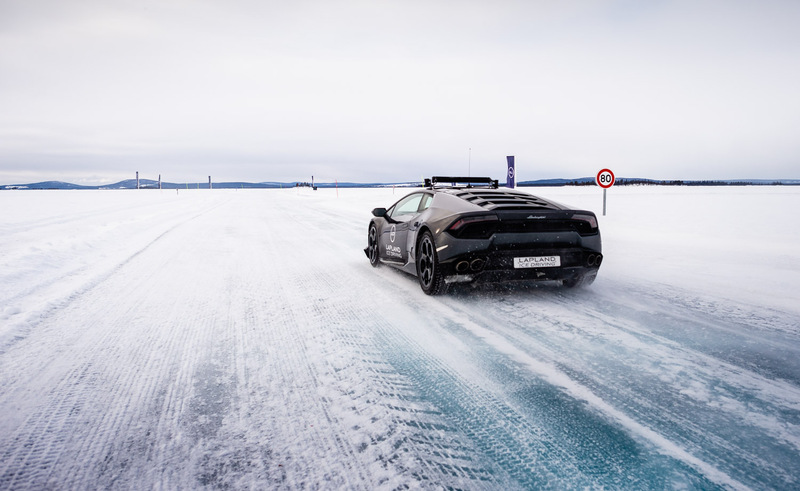 These days he runs Lapland Ice Driving, an event company with some of the coolest cars in the Arctic World.  – I don’t know what to say about Arjeplog? I’ve just been here in winter, for 30 years. – So yes… it’s cold. The cold and ice are prerequisites for Eric Gallardo’s business. It’s the same for many other event companies around here, of course. 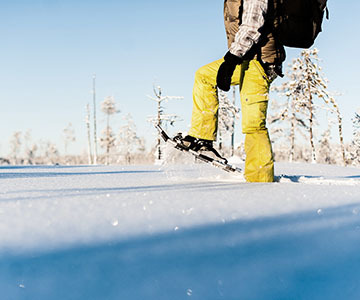 Sorsele, Jokkmokk, Arvidsjaur and Skellefteå all have event companies for those who want to put the pedal to the metal. – But no, actually it’s not about that, about driving fast. It’s more about being able to control the car, planning every turn or incident before it happens. – That’s what we offer our customers, a better driving school to teach them to master their cars, whether it’s a four-wheel-drive Subaru or a Lamborghini with the engine at the back. The most important thing for every driver in any situation is control. Lapland Ice Driving is an extreme driving school. It’s difficult to grasp how big this business is. So let’s talk numbers for a while. Lapland Ice Driving, run by Eric, celebrating its 15th anniversary the season 2020, rents 1,200 hectares from Sveaskog for its operations at Uddjaur. It’s an area six times the size of Monaco. – But Eric: how come you don’t have the Monaco Grand Prix track here on the ice? – Oh no, says Erik in his matter-of-fact way, Monaco is a very hilly track. We’ve only copied tracks that are relatively flat, to give our guests something that equals the experience they can get on the original. – Yes, many of them have already driven on the tarmac of the original tracks, and now they get to experience them in a completely different way. So out here on the ice, we find perfect replicas, scale 1:1, of formula-1 tracks such as YAS Marina in Abu Dhabi, Circuit Paul Ricard, Nürburgring and Le Mans, and Silverstone. There are also some oval tracks and some other training tracks. 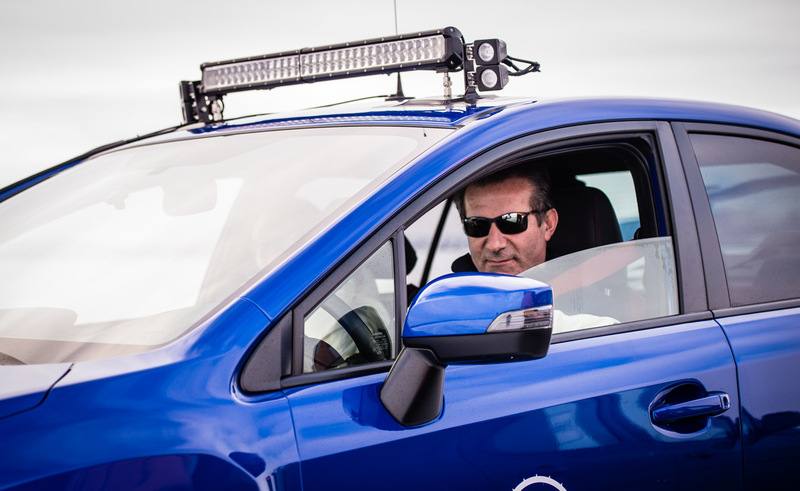 Today is a pretty quiet day for Eric, but there are still eight cars out driving. He started with an Opel Mantra and a few guests in 2005. They drove on test tracks belonging to General Motors, where Eric used to work. But when the business grew, he needed something of his own. Today he’s got 28 cars in his garage. There are also around 300 tyres, of various kinds. A driver drives around 250-300 km every day – the tyres get worn. On each tyre, there are about 300-600 spikes. Or one spike per horsepower in the car. 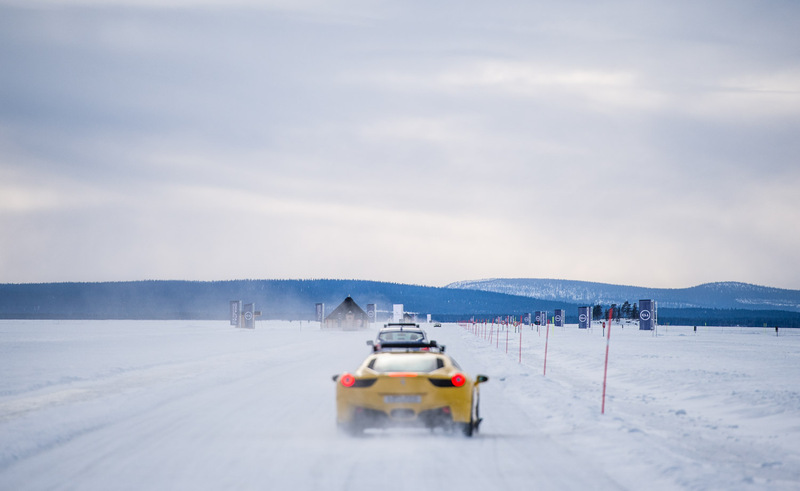 Isn’t it cool that you can drive Porsche, Ferrari, Lamborghini and Maserati here, out on an ice road in the Arctic? But it’s not always as much fun for Eric. As soon as he puts the car key into a new car, half the value of his ‘stock’ disappears. This type of business has an incredible overhead. Cars are losing value, rubber tyres getting worn and ice tracks need to be prepared. Lapland Ice Driving covers 1,200 hectares of the massive lake Uddjaur. In the morning, around five o’clock, Billy Fjällström’s machines roll out. Billy and three of his colleagues work full time preparing the tracks that Eric Gallardo and his guests need out on Uddjaur. It’s not that easy: no winter is the same as the other, no ice is the same as it was before. Billy steps out of his grader; it weighs 17 tons. There’s ice enough under our feet. – Yes, it’s easy to work now. Now that we get to use the big machines. It’s at the beginning of the season it’s tricky when we set the tracks using GPS, exactly the way they need to be and make sure the ice gets thicker. – At the moment the ice is more than a metre thick. When it’s 40 centimetres, we can start using heavy machines. Before that, we use quads and snowmobiles. But this year was a good year. We got 20 centimetres of kernel ice straight away. – It’s a bit special driving around on the ice when it’s crystal clear, and you can see the bottom 10 metres down. That’s good ice to work with. It’s worse in spring when it snows and turns into slush, which then freezes. It’s not as durable and not as easy to prepare for driving either. Billy and his 17 tons of machine. This morning, like all other mornings during winter, they’ve first cleared the tracks from snow, and now Billy is sorting the ice out making sure there’s a good grip. It mustn’t be clear ice; there has to be some grip to make it fun to drive on. In total, they have around 25 kilometres of tracks, and they have to drive them several laps, with different machines, so in the end, they’ve made a fair few kilometres on a morning like this. – Ice and weather, you become quite the expert, he says and laughs. You have to withstand minus 40 degrees Celsius for weeks. It’s no good, not for humans, machines or ice. When it’s too cold, the ice gets brittle and breaks very easily. Before Billy started here, he worked for ten years at a test facility in Inner Mongolia. 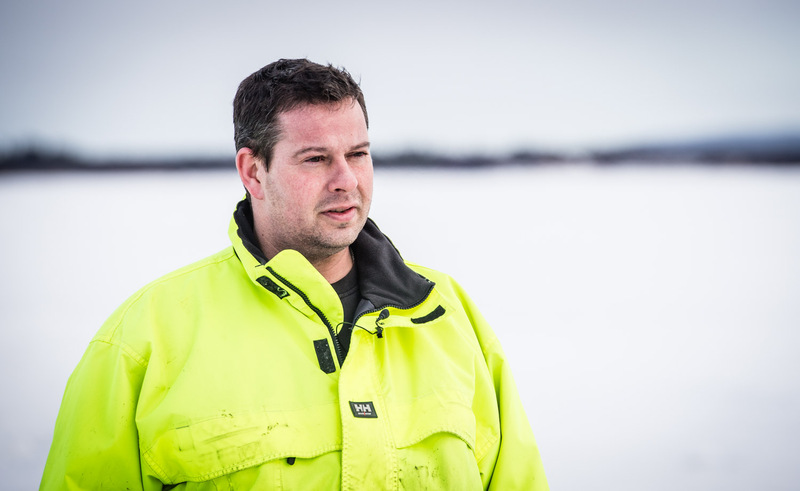 The test industry is part of life for many of Arjeplog’s inhabitants. They’ve become specialists in making ice tracks. The car industry has become part of what keeps them alive. – It was freezing in Mongolia as well but in a different way. The snow on the roof could be dripping in the sunshine, but with temperatures down to minus 30°C in the shade. Billy, a master of ice. Eric Gallardo is an automotive engineer and real automobile enthusiast. 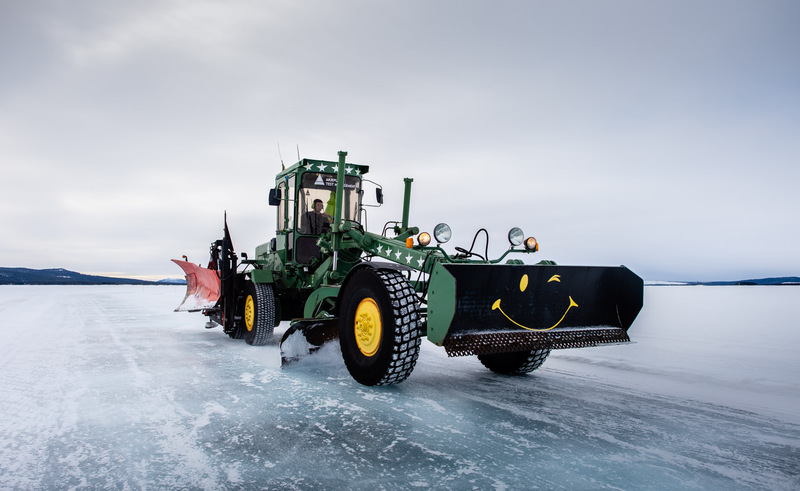 About 40 miles from the Arctic Circle, he turns Lake Uddjaur into a 2,965-acre drifting area each winter. Learn more about Lapland Ice Driving in Arjeplog at lapland-ice-driving.com. In the bay, by Hornavan Hotel there is a park called ‘David and Pelle’s Park’, named after two real-life ice heroes: David Sundström and Per-Axel Andersson. Someone knocked on the door of David and Pelle’s office in 1973. They had cleared a landing strip for their seaplane on Lake Hornavan. Outside the office, knocking on their door, was an engineer from Opel. He was wondering if they would let him drive a car on the runway. Of course, that’s no problem, said Pelle and David, as long as they left when they needed to take off and land. So there’s where Opel started driving. Sweeping and polishing and trying different kinds of friction. The two pilots contracted to clear snow and to sand in the area, also started helping out. Soon they had a contract with Opel, and before anyone knew it, ABS-breaks had been tested in Arjeplog. In 1973 it was rather a simple belief in the weather, but this started to change at the beginning of the 1990s. The weather wasn’t the same any more. The ice on Hornavan froze later and later. Many of the professional car manufacturers had to move up onto the ground and build tracks they could freeze in an artificial manner. 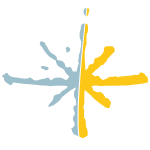 The car industry employs thousands of engineers every winter and has given rise to an event business. Not all of them as spectacular as Eric Gallardo’s Lapland Ice Driving. Because who’s got five copies of formula-1 tracks on the ice? Other than someone who’d like you to learn how to drive in a way that makes your knuckles go white. A night in -5 °C – how does it work? It takes no little amount of courage to commit to spending a night on ice. Some have already planned a spot on the mantelpiece for the diploma that says you survived a night in minus five before boarding the plane to Kiruna. 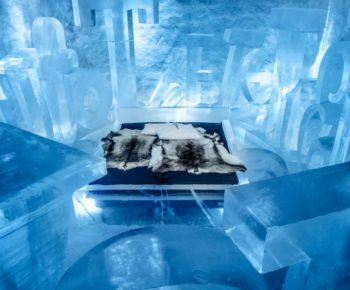 Others are more hesitant about the idea to sleep in a hotel made of ice and snow. To go on a boat trip and take a swim while you’re at it is a pretty common activity around the world, in the city of Piteå in Swedish Lapland as well. 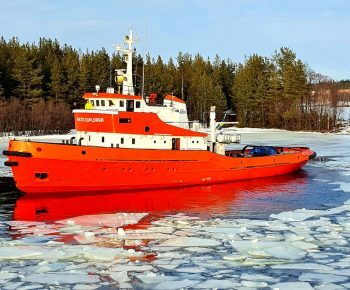 But here, just a hundred kilometres south of the polar circle, the considerably less common twist is that the boat trip happens in minus 20 degrees Celsius with an icebreaker that weighs in at 400 metric tons.